The new lens was also introduced at a slightly higher price point when compared to the first generation. Optically the new lens is virtually identical to it’s predecessor, which is not necessarily a bad thing. VC Mode 3 is unique in that the image stabilization is off while composing the image and then activates when you take the photo. I personally prefer to have the image stabilization on when composing, especially when shooting at 600mm. It is very difficult to hold the camera steady and 300-600mm will magnify the smallest movements dramatically. I have only briefly tested the lens in the store, and from what I have seen the image quality is pretty much the same as the first generation. That is to say, the image quality is pretty darned good for the price of the lens. If you want better image quality at 600mm then you will need to step up to the Canon/Nikon 600mm f/4 prime lenses that are over $10,000!. The biggest challenge to getting good images from this lens is to use it in bright light and use it on a tripod. 600mm is very difficult to shoot hand held, especially with a crop sensor. Most of the poor image quality comments that come from photographers using lenses over 300mm can be traced to poor technique. We had a customer return his first generation 150-600mm claiming that it was defective due to image softness. I was asked to take the lens out and test it (They really had to twist my arm). I took it out to the Farmington Bay Bird Refuge and was very pleased with the results and from what I can tell the lens was just fine. I used a tripod and monopod to help not only stabilize the lens, but to also take the weight of the lens off my arms. For photographers wanting to capture birds in flight, you will want to invest in a good gimbal ring setup such as a Wimberly. It is interesting to note that DXOMark gave the G2 version a slightly lower sharpness rating of 14 compared to the first generation’s rating of 16 on the Canon 5DS R camera. Additionally the new version achieved an overall score of 19 vs. 21 for the older version. I don’t put a lot of stock in DXO Mark’s testing and to be perfectly honest this small difference can be attributed to minor differences in the testing procedures or set up. The difference between the scores is mostly imperceptible even in large prints. Overall telephoto lenses do better in the vignetting department than wide angle lenses. The Tamron SP 150-600mm f/5-6.3 Di VC USD G2 does show about one stop of darkening in the corners when shot wide open throughout the zoom range, but stopping down will help to improve the vignetting down to around a half to two-thirds of a stop on full frame bodies. APS-C bodies show less due to the crop factor of the smaller sensors. vignetting is very easy to correct in post processing and with this lens is nothing to worry about. The Tamron SP 150-600mm f/5-6.3 Di VC USD G2 shows a slight amount of pincushion distortion throughout the zoom range. The distortion is pretty uniform and easy to correct in post processing. This is about par for the course with telephoto zoom lenses. The Tamron SP 150-600mm f/5-6.3 Di VC USD G2 does pretty good with around 8µm on full frame bodies and around 9µm on APS-C bodies. This is pretty easy to correct using post processing software such as Lightroom. Build quality is overall very decent. The lens is now weather sealed, which means you can use it in snow, light rain or mist. Of course if your camera body is not weather sealed then you won’t want to use that in adverse weather. The lens (nor any camera with interchangeable lenses) is water proof which means you definitely don’t want to submerge the lens, but this also applies to more water than a light rain. I’ve heard stories of photographers shooting on the beach and having a wave be bigger than they anticipated crash over them and their camera. Weather sealing is usually not up to that level of protection. 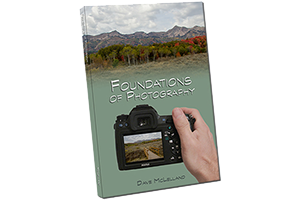 If you already own the first generation the big question becomes should you get this lens? Unless you need the weather sealing, I would say probably not. If you are looking at getting either the first generation lens or this new version – for short time there will be a window where you can purchase both lenses new. The first generation has been priced about $400 less to help move them out of dealers inventory. That makes the first generation lens a great bargain and unless you need the weather sealing, I would suggest taking a hard look at the first generation as well. There are not a lot of options in this lens class and the Tamron represents a great value. 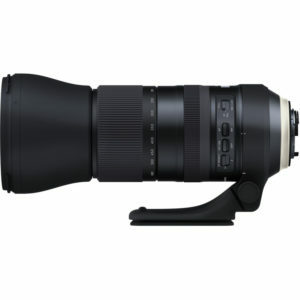 Sigma offers 2 versions of their 150-600mm lens: the contemporary and the Sport. Nikon has their highly regarded 200-500mm f/5.6 lens, but the Nikon offers less range for the same price. If you are a Canon shooter, the closest lens Canon has to offer is their excellent 100-400mm II lens, but that lens is significantly more expensive and does not offer the same zoom range, topping out at 400mm vs 600mm for the Tamron. Overall, if you are looking for a super zoom lens, the Tamron 150-600mm G2 lens should be very high on your list and those who have purchased it have been very happy as evidenced by it overall excellent ratings.